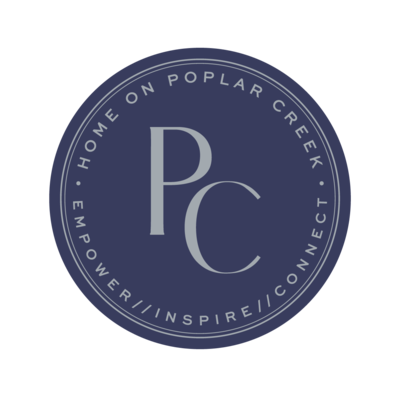 Home on Poplar Creek is a lifestyle and DIY blog dedicated to uplifting women through home inspiration, deep conversation, and solutions for issues facing the modern women such as finding recipes for a family with picky eaters and kid friendly home decorating. Grab yourself a drink and some tissues as we prepare to do life together! I think we all have those “off” days as a momma. I like to call mine PMS. I’m moody. I’m tired. And every little thing irritates me. Jerome had to travel for work this past weekend and I have to admit… I was dreading just what would lay ahead for me and the kids. I could already feel you know who creeping in which meant all I wanted to do is grab some M&M’s (my coping mechanism) and curl up under the sheets. When Saturday evening rolled around there was nothing left of me. As bed time was approaching, I couldn’t help but think about all of the things I probably should get done around the house, including the mess that was made that day. As I crept out of Jaden’s room after he had finally fallen asleep, I peered over the banister in disbelief at just how much of a mess was staring back at me. At that very moment I decided that the mess could wait… Gasp!!! For the first time since the night before, the house was absolutely silent. And I planned to relish in it. There were so many thoughts going through my mind about what I could do with my freedom. Maybe I could finally get to wash my hair and actually let the conditioner sit. Or, I could give myself a facial mask…. The first thing I did was grabbed a slice of pizza and woosahhhhed. It felt so good to enjoy my dinner in complete peace. So for the rest of the night I decided to pamper myself by doing absolutely nothing. Guilt free. 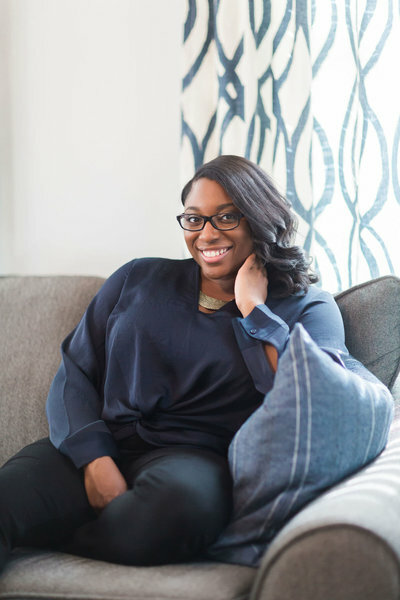 In order to have a true night of pampering, the number one thing you have to do is ditch the guilt. I knew that if I would have stayed up to fold the laundry and put away the toys and do all the other things, I would have nothing left for the boys the next day. So I had a choice to make. Get some rest or force my way through all the stuff and depend on caffeine the next day. In that moment, it was an easy choice. Do you have trouble taking time out for yourself? I’ve come up with a list of 5 ways you can get re-centered. It’s going to involve a lot of wine and a whole lot of loving on yourself! I know you’re probably thinking, how is going to bed early pampering myself? Well, most of us mommas are operating on fumes. We go to bed late, wake up early and some of us are still being woken up in the middle of the night. You’re tired girl. So, do yourself and your family a HUGE favor and get some rest. Like a whole 8 hours of rest. Your body, your kids and your hubby will thank you for it. This is one area that I truly need to get a handle on. If you caught my Insta stories this week, you noticed I’ve worn my headband for an entire week. That’s a new record even for me. I usually feel so good when my hair is done, my skin looks bright and my nails are done. But it just doesn’t happen often enough. If you’re like me, take an evening to focus on those areas. Spend a little extra time washing and conditioning your hair. Then give yourself a facial followed by a little nail care. I LOVE press on nails. But not the Lee press on styles from the 90’s. Press on’s have come a long way and it’s a cheap and easy way to give your nails a quick makeover. Pour yourself a glass of wine and turn your bathroom into a spa. Taking a hot bubble bath is a little cliche when you hear the words pamper yourself. But to be honest, using an epsom salt based bubble bath really does help relax the muscles. Light some candles, add a few drops of essential oils and pour yourself a glass of wine. The aromatherapy coupled with the alone time will do wonders for your psyche. Is there a book you’ve wanted to read or podcast you’ve been hearing about? My mom sent me a copy of Becoming by Michelle Obama a few weeks ago. I’ve only been able to read through a few pages, but when the opportunity arises I’m jumping in. Climb into some cute loungewear, pour a glass of wine and grab your headphones or book to take your mind off of the outside world. So you may or may not be into this but I sure am. One thing that I love to do (guilty pleasure) is watch reality tv. For some reason it’s like an escape from none other then… REALITY! We all know reality tv is more scripted then daytime soaps (is that even still a thing? ), but it sure is entertaining. Put on some comfy pj’s, grab some wine and binge out! So, what are you going to do this week to take some time out for yourself? Let me know down in the comments how you like to spend time alone! SHOP SOME OF MY FAVS THAT HELP ME RELAX!